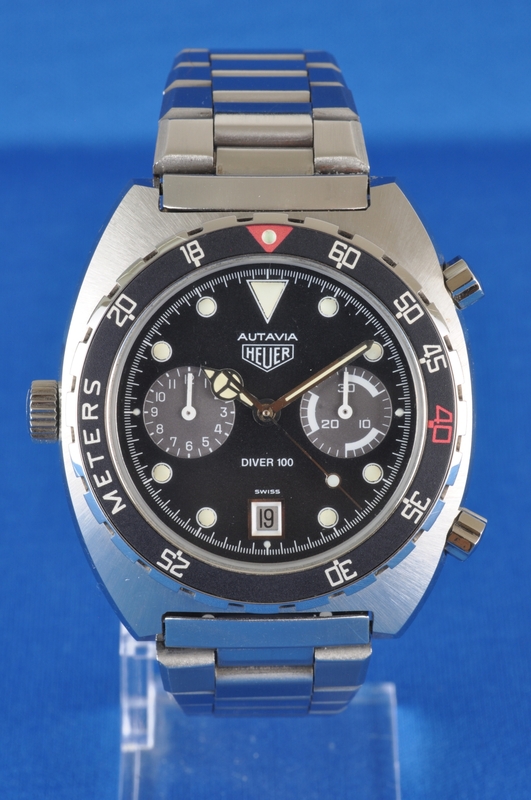 The Diver 100 is a very sought after Heuer and the small “Diver 100” instead of “Automatic Chronograph” commands a big price premium. 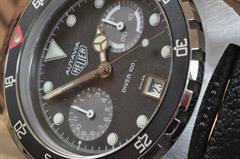 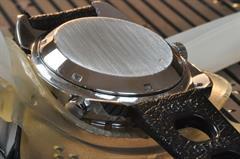 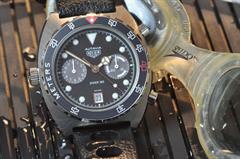 The watch is based on the final big Autavia case, the 11063. 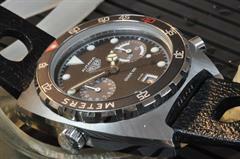 It is much beefier and weights more than the earlier 1163 and 11630 cases.